Wohooooooo. It's that time of the week again where I can walk around the house binge-watching YouTube videos! For this week's edition of #BeautyBingeWatch, I was feeling rather inspired. I thought of sharing with you some videos that have helped me learn to makeup and bake-up to makeup artist level perfection. Whether you're struggling to apply foundation or carve out your cheekbones or create mermaid-esque eyes. We've got you. You're welcome. New to makeup? Check out this Foundation, Contour and Highlight routine so that your base will always be PERFECT! Does your foundation always look cakey and overdone? This foundation tip is about to change your life! 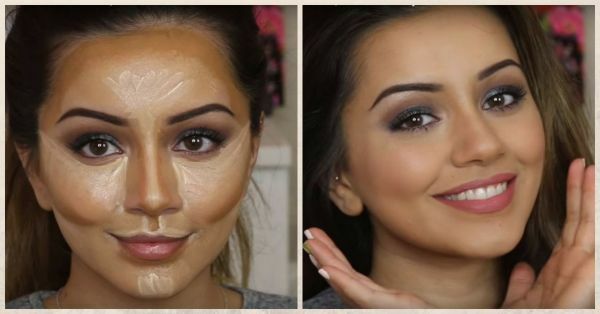 A tutorial dedicated to contouring away all your woes! If you're already a pro makeup junkie, recreating these gemstone eyes will be a cakewalk for you. Check out this gorgeous amethyst eyeshadow tutorial. What do you think? Which of the tutorials are you going to try?